What is Mercury Retrograde? Without going into much astrological details, mercury retrograde means the planet Mercury is moving slower than Earth giving an illusion that it is moving in backward direction. It is the time when Mercury seems to be in opposite motions; though it is just an illusion and only for a short phase. What does Mercury Retrograde do? According to some astrological experts, Mercury is known for the planet which influences Throat chakra and hence during mercury retrograde phase, the main thing to get affected is communication. People may see turbulences in certain areas such as communication issues, misunderstandings, technical issues, electronic gadget problems, travel issues, negotiation problem, buying-selling problem etc. How to deal with it? We cannot stop living our life, we cannot avoid work-related or emergency travel or we cannot put our business on hold. Best thing to do is not to get obsessed thinking about it. Don’t be superstitious but just beware. Positivity attracts positivity. On a paper, draw Cho Ku Rei on 4 corners to seal the energy. If you are attuned to Dai Ko Myo, then trace DKM symbol with finger on the paper. State your intention- The mercury retrograde from 30th August 2016 to 22nd September 2016 (Change date during next phase) brings all the positive changes in my life. It releases all the stuck patterns and old beliefs that hinders my progress. It brings total clarity in communication with self and others eliminating any scope of misunderstandings. All my electronic gadgets are protected and safe. It brings technical issues to halt. It helps and promotes safe travel. It brings harmony and peace in my life leaving no space for stress and anxiety. 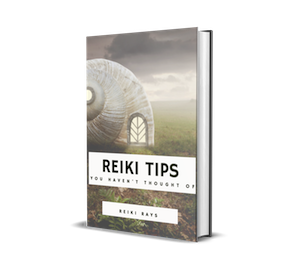 Thank You Reiki, so it is. With your finger, trace Reiki symbols sandwich on the paper – CKR+DKM+SHK+HSZSN+CKR. Take paper in your palms and give Reiki for 10-15 minutes daily till mercury retrograde phase ends. You can continue for a week more to eliminate shadow effects. Grounding and shielding is a must daily. Also draw CKR on all your 7 chakras daily to protect you and empower you on daily basis. Some crystals you can carry during mercury retrograde- lapis lazuli, amazonite, aquamarine, rose quartz, black tourmaline, hematite, smoky quartz, moonstone, fluorite, selenite, blue lace agate. Again, don’t be superstitious. Don’t keep thinking about it. I would never suggest dwelling into don’t do this or that. If you face a problem, ask Mercury what does it want you to realize? What you need to know or learn from this situation. Mercury retrograde has positive sides too, it brings out stuck patterns, releases old memories and makes you realize the things you are unaware of. It is called 3-REs of mercury retrograde- REmember-REalize-RElease. Take advantage of this phase by letting go off stuck issues, welcoming old memories or old friends and realize and accept the lessons life brings.